Crown Center Redevelopment Corp. is a subsidiary of Hallmark Cards Inc. which was founded by Joyce C. Hall. Crown Center offers their services in mixed-use redevelopments and it is a complex of almost 85 acres area where more than five million people visit every year. Five interconnected 7-story buildings were constructed in 1971. These buildings have office space of almost 2.2 million square feet and leasable space of more than 300,000 square feet. Crown center also owns residential communities along with 230 condominiums. In Sheraton Kansas City and Westin Kansas City, Crown Center offers two hotels with excellent facilities. Donald J. Hall is the chairperson of Hallmark. There are currently 0 consumer reviews about Crown Center Complex available. Share your review. Please take a note that you are about to post a public review about Crown Center Complex corporate office on CorporateOffice.com. This review will be public, so please do not post any of your personal information on this website. 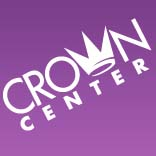 If you would like to contact the corporate offices of Crown Center Complex, please use their contact information such as their phone number, website, and address listed above to contact them. However, sometimes staff from Crown Center Complex headquarters do read the reviews on this website.